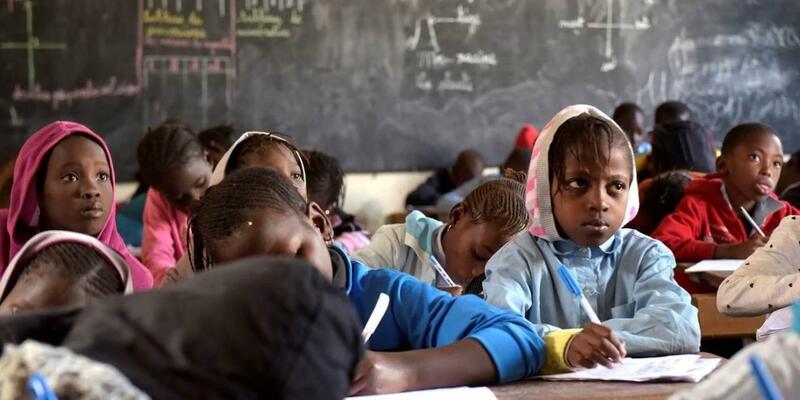 Africa is in the midst of an education crisis. Despite pledges to improve access to education for all children by 2030, many African governments are failing to fund this ambitious component of the UN Sustainable Development Goals (SDGs). There is still time to address the financing shortfall, but only if new investment strategies are embraced with vigor. These problems are well known, if not always addressed. Less understood is the contradictory impact that Africa’s future growth will have on the availability of education funding. By 2030, nearly 30 countries in Africa are expected to have reached lower middle-income status, defined by the World Bank as a per capita gross national income (GNI) between $1,026 and $4,035. As countries approach this level of development, new investments will be needed to pay for health and education upgrades, and mobilizing domestic tax revenue will become a critical component of budgeting strategies. At the moment, however, estimated tax revenues in most countries will be insufficient to cover the costs associated with improving educational outcomes. As a result, an education-funding crisis threatens to dash hopes of sustained rapid growth and lasting prosperity. Traditional forms of international aid will continue to play a role in the development of Africa’s education sector. And yet, owing to the projected increases in GNI, most lower-middle-income countries will no longer qualify for the grants and low- or zero-interest loans that are currently available. As a result, millions of young Africans will suffer the effects of a paradox in international development: countries will be too prosperous to qualify for the best funding options, but too poor to meet the educational needs of their citizens on their own. Fortunately, the International Commission on Financing Global Education Opportunity, where I serve as a commissioner, has helped to develop a solution. Called the International Finance Facility for Education, this innovative approach aims to help lower-middle-income countries invest in education – especially programs for women and girls – in more sustainable ways. By leveraging $2 billion in donor guarantees, we aim to deliver about $10 billion in grant and concessional education funding to countries that need it most. But there is a catch: governments seeking to access these funds must first demonstrate an interest in and capacity for long-term educational reform. This approach is designed to improve grants’ effectiveness and give countries the ability to strengthen their economic resilience with a better-educated workforce. Research shows that in lower-middle-income countries, every $1 spent on education increases the earning power of graduates by $4. In other words, our long-term goal is broader than building schools or teaching math; it is to create conditions for lasting social and economic change. Similar funding strategies have already proved to be successful in the health-care sector. For example, the International Finance Facility for Immunization was created to provide financing for GAVI, the Vaccine Alliance. Eventually, billions of dollars in new funding was mobilized to help vaccinate more than 640 million children and save over nine million lives. The economic returns were also dramatic; one study that surveyed outcomes in 73 countries found that every $1 spent on immunizations translated into $18 in health-care-related savings. The education finance facility has the potential to produce a similar impact. Millions of young people around the world, and particularly young girls in Africa, are failing to excel because they continue to be denied access to quality education. With just 12 years to go before the expiration of the SDGs, Africa’s education crisis must be moved to the top of the development agenda. Government leaders routinely claim that children are our future. If they truly believe it, programs like the International Finance Facility for Education must be given the priority they deserve.